MEXICO. Sorry for the radio silence guys! 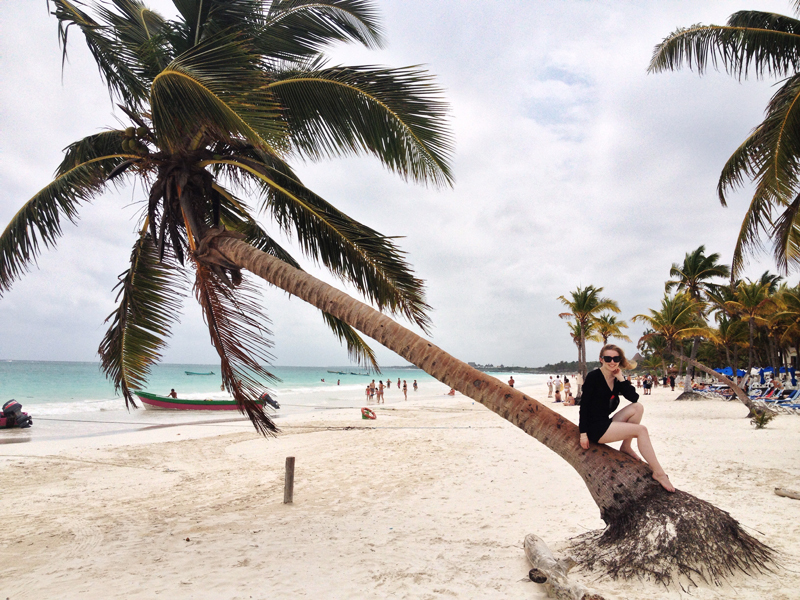 I’m currently in beautiful Tulum, Mexico, on a well needed 2 week escape from chilly NY. This place is absolutely magical and I have so many pictures + memories to share with you guys when I get back home. Until then, follow me on instagram @carolinaengman for lots of pictures! This entry was posted in Travel and tagged Mexico, playa paraiso, tulum by Carolina Engman. Bookmark the permalink. Wow, such a beautiful place! Have a lot of fun, and enjoy the sun! Wow it looks amazing! Have fun! I would love to be in Mexico right now! Have so much fun! Perfect paradise ! Enjoy the sunshiny weather.. beautiful photo !! Wow! Have so much fun! Yes sun is a must escape after a winter in NYC! CAn’t wait to see more pics from this trip. WOOOW. No Sorry. Wish you a fabulous time in Mexico lovely! Look absolutely ahmazing !!! beautiful pic. enjoy your vacation! This looks absolutely stunning, such a lovely break!! So pretty! Cannot wait to check out your instagram photos!! wow looks amazing hope you have an amazing time! This is indeed paradise, gorgeous! Enjoy the rest of your stay! great pictures. i love to see mexico. enjoy and have fun. Wow, this looks wonderful! Can’t wait to see more! my destination in april:) have fun! Cool! Have nice time there. Eh thats destiny, some go to Beautiful icy Siberia, some go to hot Mexico! Pls check out my latest outfit posts worn at siberia trip! wow, what a stunning picture, enjoy your vacation! This place is so beautiful!!.. Just like you described it!.. Enjoy your stay there!! Omg I was just there a few days ago! I too needed a getaway from NY’s neverending winter. I started in Playa del Carmen then Tulum, and now I’m in Cancun. Leaving tomorrow though, so sad. I’m from Mexico and I love the Riviera Maya it’s a paradise!! Have a fun time in Mexico! seriously heaven on earth ! Looks gorgeous, we have thick fog in the UK – boo :(. You’re so right, NY is so cold right now. I’m jealous. You’re adorable, hope you’re having a wonderful time! This really is a postcard image! I love following you on instagram! try to bring some sun with you fort he rest of the word! Relax and don’t worry about the blog!! No one’s going anywhere! OMG!! So beautiful place, enjoy!!! I am from Mexico, but i’ve never been there. In my blog I have a post at my local beach, Mexico is beeeeautiful. Ese si que es el paraiso, verdad?!!!! Same outfit, huge price difference! with a twist ;) check it out on my fashion blog http://heavenisaplaceonline.blogspot.com/ http://instagram.com/helena_tsk and please follow me! I always follow back! Have fun! The place looks incredible. given a chance when i go to mexico i’d be in acapulco. I visited Tulum some time ago and all I can say is that it is gorgeous! This certainly looks like paradise! I will love to have your opinion. Coachella must-haves today on my fashion blog http://heavenisaplaceonline.blogspot.com/ http://instagram.com/helena_tsk Please check it out and follow me! I follow back! This looks so amazing! Mexico is on the top of my must travel to soon list at the moment! The place is no worse than a paradise.